Mercedes-Benz Baureihe W201 190 serie - The "Ockhuisen" Mercedes-Benz Collection. 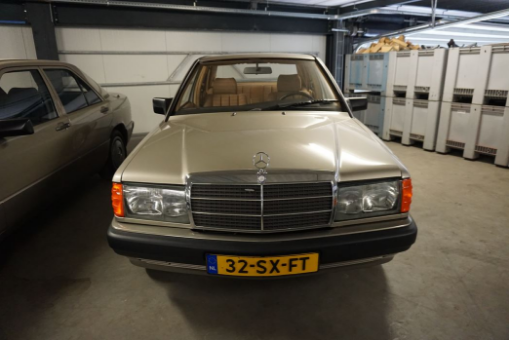 The public and the press were looking towards December 8, 1982 with great expectations, when the compact-class saloons W201, Type 190 and 190 E were presented. 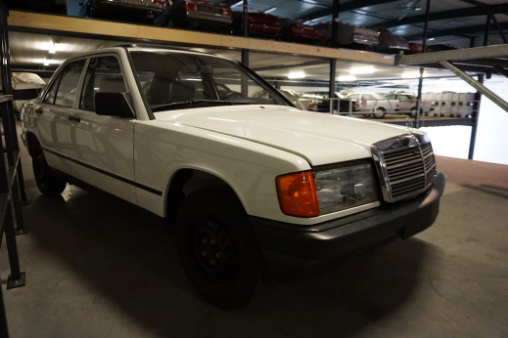 These models did not replace previous types, but completed the traditional Mercedes-Benz passenger car program by a third main line. The new range of models was characterised by more compact measures, reduced weight and increased economy without making any compromises as to handling performance, safety and reliability. Minimised energy consumption was reached by using high-strength sheet steel and other weight- reducing materials as well as by aerodynamic optimisation. Passive safety had been the reason for providing series 126 with a forked beam in the front end. With this design principle also the compact-class vehicles fulfilled the criterion of an asymmetric head-on impact with 40 % overlapping and 55 kph. 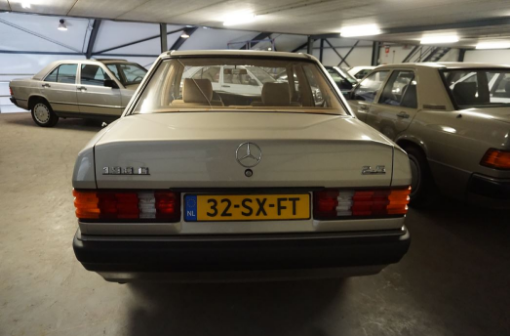 Thus the 190 models were absolutely as safe as the big S-Class saloons. 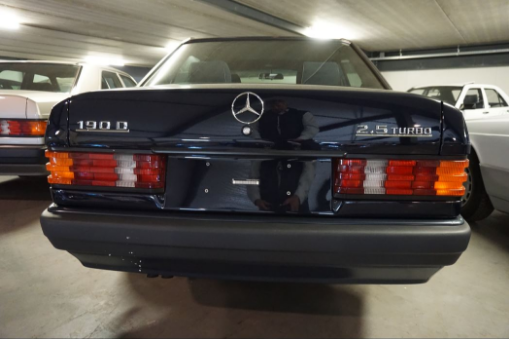 In autumn 1983 the W201 range of models was extended by Types 190 D and 190 E 2.3-16. 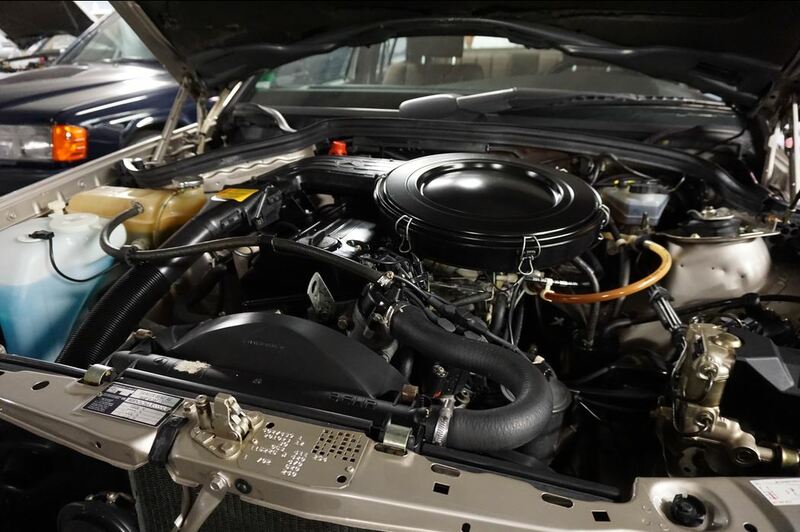 The 190 D was provided with a totally redeveloped 2.0-liter 4-cylinder Diesel engine. 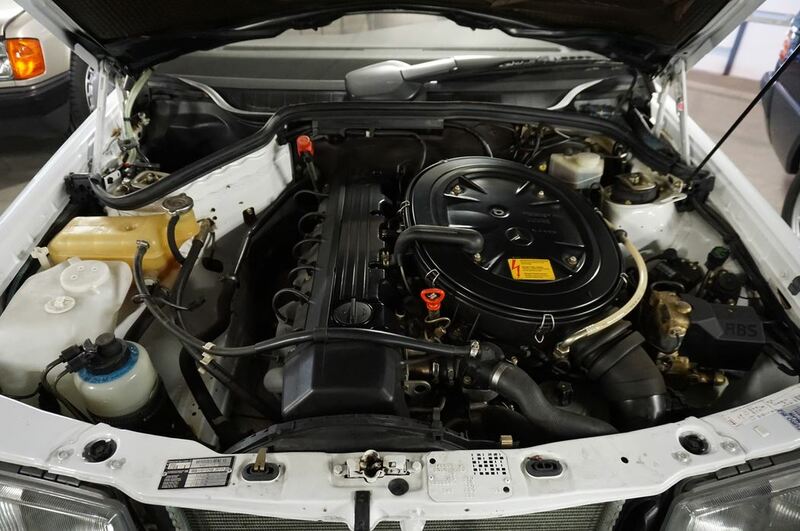 It mobilised 72 hp and was the pre-runner of a new generation of especially economical and powerful Diesel engines. A remarkable innovation was the encapsulation of the engine-gearbox unit, for the first time applied in a standard passenger car. Thus the sound emission of the engine was reduced by more than half. The 190 E 2.3-16 became the top model of the series. Even from the outside it differed from its less sportive brothers by a wing spoiler on the rear lid. 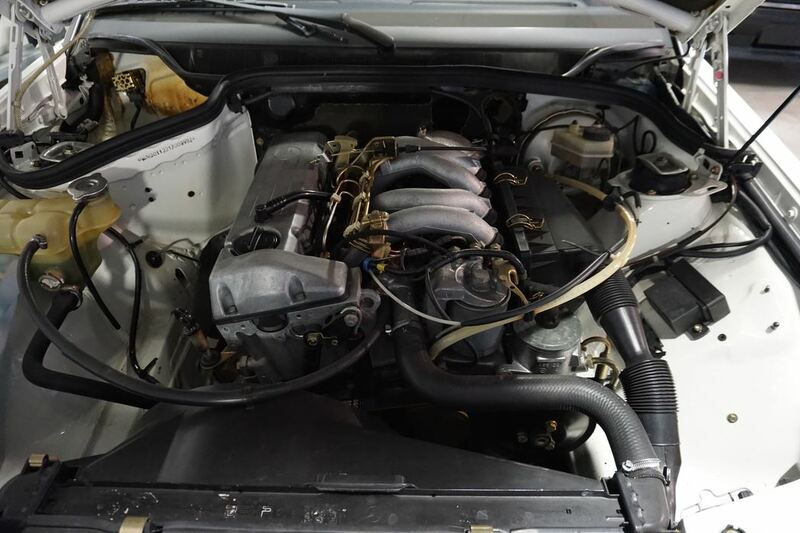 It was powered by a 2.3-liter 4-cylinder aggregate which also belonged to the engine family M 102 and had been developed from the time-tested unit of the 230 E. A newly constructed 4-valve cylinder head and several other measures made an increase in power from 136 hp to 185 hp possible. Even four weeks before its presentation at the Frankfurt International Motor Show IAA the new type was able to meet with sportive success. Three prototypes on the circuit in Nardo, Southern Italy, achieved a long-distance world record of more than 25,000 km, 25,000 miles and 50,000 km with an average speed of almost 250 kph. The standard production of the “sixteen-valve” model – which was only available in “blue-black” and “smoke-grey” – was only taken up one year later in September 1984. From September 1983 the US market was also open to the compact-class. were exported, two versions which were not available on the home market. 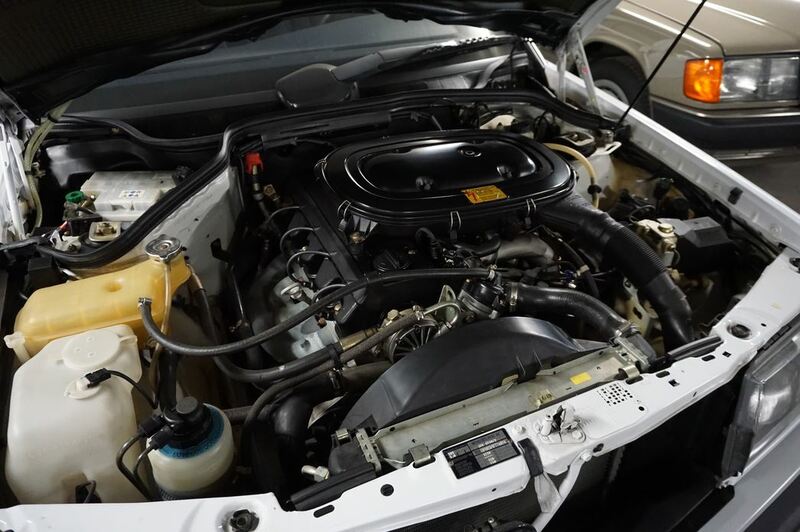 With the Diesel version the increased capacity had been obtained by increasing the stroke of the engine in order to compensate for the loss of power due to the exhaust recirculation system. The power output was 72 hp – like the smaller version for the domestic market. The situation with the petrol engine was similar. 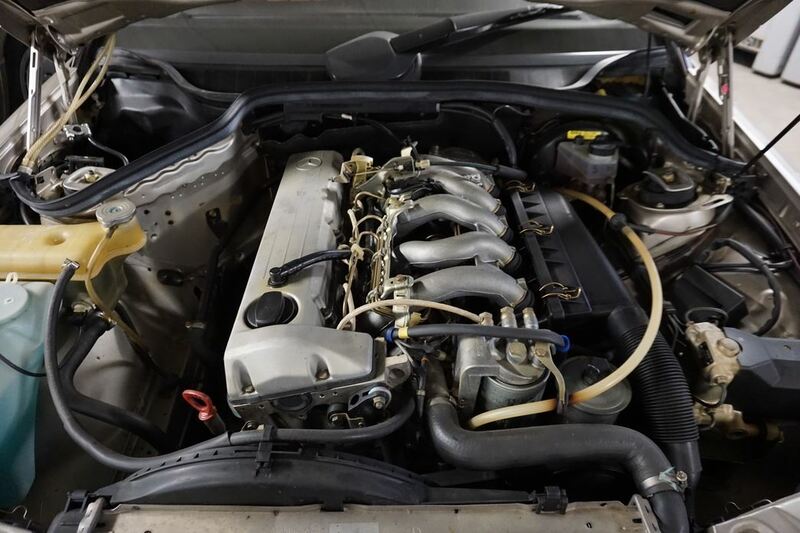 The low compression version of the engine used in the 230 E had an output of 113 hp in combination with the regulated catalytic converter – almost 10 hp less than the 190 E. A year later the 190 E 2.3 got a modified inlet manifold, a different camshaft and re-tuned fuel injection resulting in 122 hp -the same as the 2-liter model for the domestic market. At the same time the performance of the 190 with the carburettor engine was boosted. Instead of the 90 hp engine the version from the 200 was used with slightly increased compression. This version, known internally as the 190/1, now had 105 hp – 15 hp more than before. As part of the refinement package, both the 190 and the 190 E now included single-belt drive, hydraulic valve clearance compensation and hydraulic engine mounts. 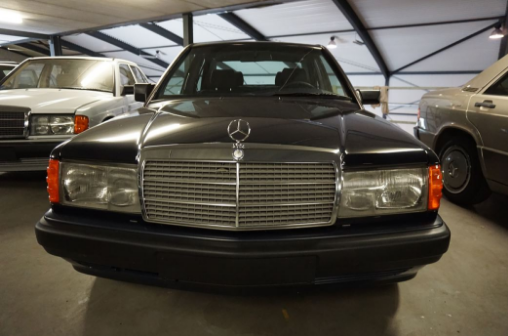 When the medium-sized W 124 series was introduced in January 1985 all compact-class models also received 15-inch wheels, electrically heated windscreen washer jets and a windscreen wiper with cam-drive resulting in a much larger swept area. From September 1985 power assisted steering and electrically heated door mirrors were standard equipment on all models. During 1985 three new versions were added to the compact-class range. 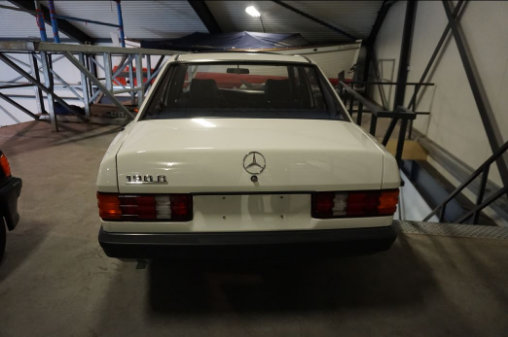 First the 190 D 2.5 appeared in May with the economical 90 hp 5-cylinder engine from the 250 D. In addition to a new estate car and the modified S-Class and SL model ranges, the 6-cylinder 190 E 2.6 and the 190 E 2.3 were also presented at the International Motor Show in Frankfurt in September. The 2.3-liter 4-cylinder engine with normal compression developed 136 hp. 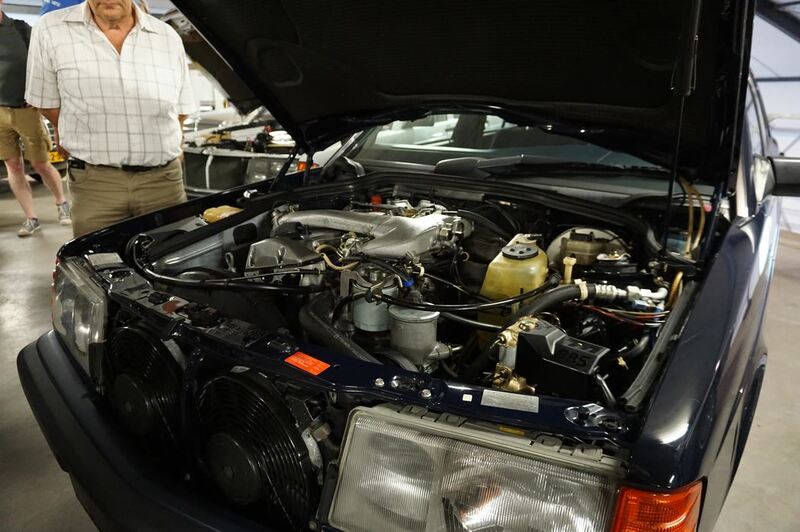 The 2.6-liter version with the 166 hp 6-cylinder engine from the 260 E was a minor sensation due to the fact that it had been possible to fit this engine into the 190. 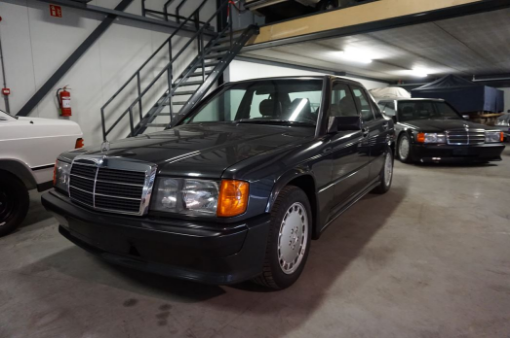 Series production of the 190 E 2.6 began in April 1986 and it was subsequently launched, together with the 190 E 2.3, in October that year. Apart from the basic 190 with its carburettor engine, the other petrol-engined 190 versions were also available with regulated three-way catalytic converters. An alternative option was the so-called “RÜF version”, without catalyst and lambda probe, but with the multi-functional fuel supply and ignition system. This version could easily be equipped with a catalyst at a later date, an advantage for many customers as unleaded fuel was not yet available everywhere. 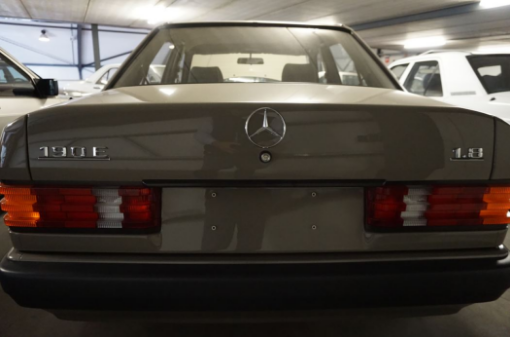 From September 1986 all Mercedes-Benz cars were available with a three-way catalyst, including the carburettor version of the 190. The “RÜF versions” were still also offered, with a price reduction, until August 1989. 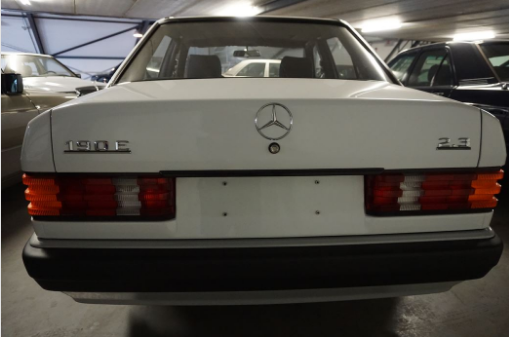 Another version of the compact class was launched at the Frankfurt Motor Show in September 1987. 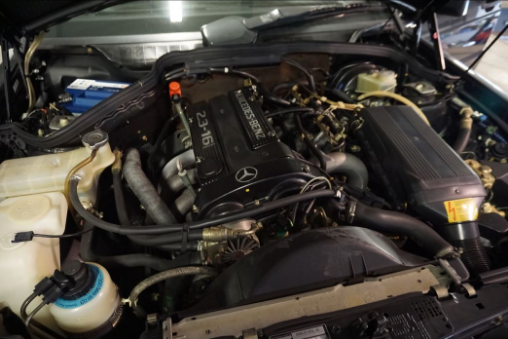 The 190 D 2.5 Turbodiesel was equipped with a 122 hp 5-cylinder engine based on the normally aspirated engine but with 32 hp more. 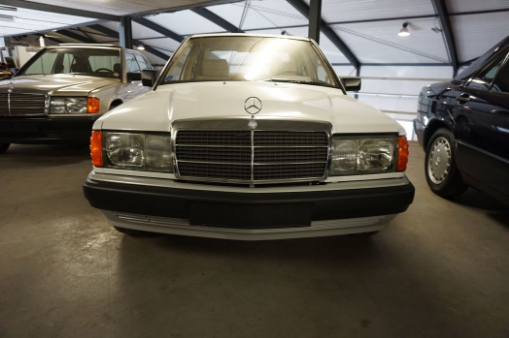 In September 1988, the face-lifted compact class range was shown at the Paris Motor Show, six months after the 1,000,000th car of the 201 series had been produced in Bremen. The main aspects of the facelift were styling alterations to the body and the redesign of the interior. 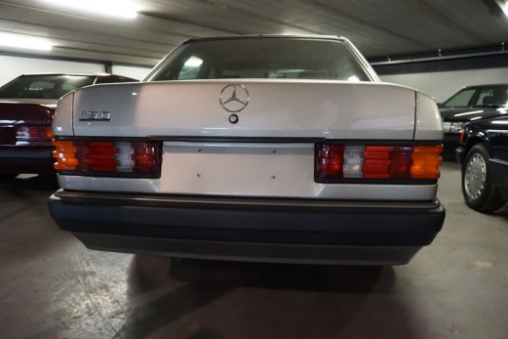 The most noticeable distinctive feature of the face-lifted models were the side protection bars with integrated longitudinal sill trims, which had been introduced with the coupés of the 124 series in similar form. Fairing and rear apron were now drawn further down and provided with more voluminous bumpers, which allowed for a higher energy absorption thanks to new support elements and modified impact absorbers. With the fairing borrowed from the 190 E 2.6, uplift at the front axle could be reduced further. Downstream at the rear had been optimized through a modified rear apron. An additional improvement was in the right exterior rear-view mirror, which from now on came as standard. The redesigned interior conveyed a comfortable and spacious impression, and was characterized by better knee and head room in the rear as well as revised seats. 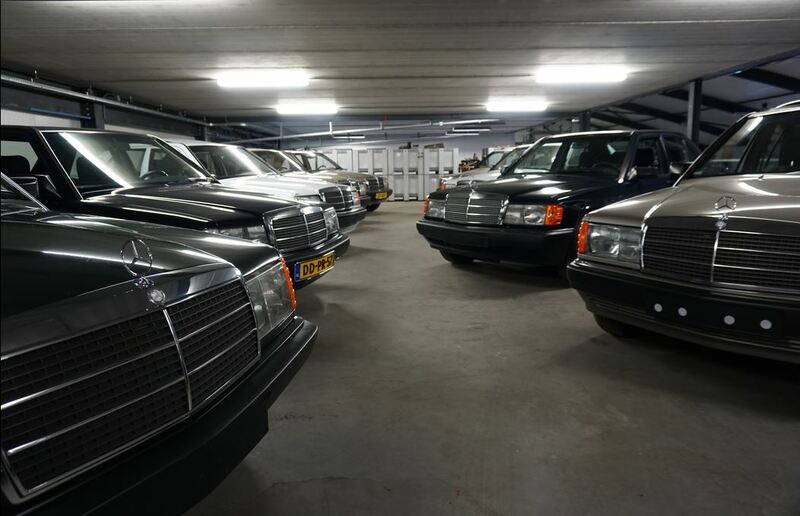 At the same time, the new 190 E 2.5-16 was presented, replacing the 16-valve 2.3-liter version after four years. The 2.5-liter engine, developed from its predecessor by increasing the stroke, had 195 hp in the catalyst version, an increase of 25 hp over its predecessor. On its surface, nothing had changed on the sixteen-valve car, apart from the type label, the right rear-view mirror, and two new paint options. Besides the two colors available on the predecessor, the new metallic paint options “almandine red” and “astral silver” could be ordered. 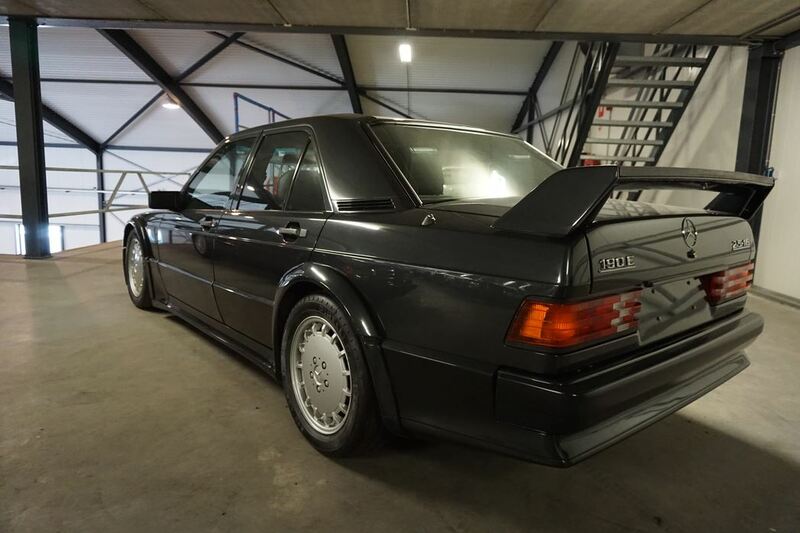 The 190 E 2.5-16 was also the basis for the racing touring cars used in group A of the German touring car championship (DTM). However, the existing engine did not meet the requirements of use in racing: It did not have the right relation between bore and stroke, was unsuitable for operation at high revs because of its long stroke, and offered no leeway for performance optimizing measures. It immediately suggested itself to build an entirely new engine with the same displacement. The FIA regulations, however, accepted a new engine in a homologized car only, if it finds its way into series production with a proportion of at least ten percent during its development. This meant that with a group A car, of which 5,000 had to be built, at least 500 units had to be equipped with the new engine. Since, with the new 190 E 2.3-16, there already was an homologized base model, this was now possible. As a result of the development, the 190 E 2.5-16 Evolution was presented at the Geneva Motor Show in March 1989. The new, high-revving 2.5-liter engine had 195 hp in its standard form, but was prepared for further tuning. In view of the planned racing applications, the suspension and brakes had been modified, and 16-inch wheels had been used. Body alterations included a prominent rear spoiler, an enlarged rear wing with a triangle wedge, as well as bigger wheel well cut-outs with significantly extended fenders. Within three months, 502 units painted in “blue- black metallic” were built and distributed to customers interested in motorsports via the sales organizations. 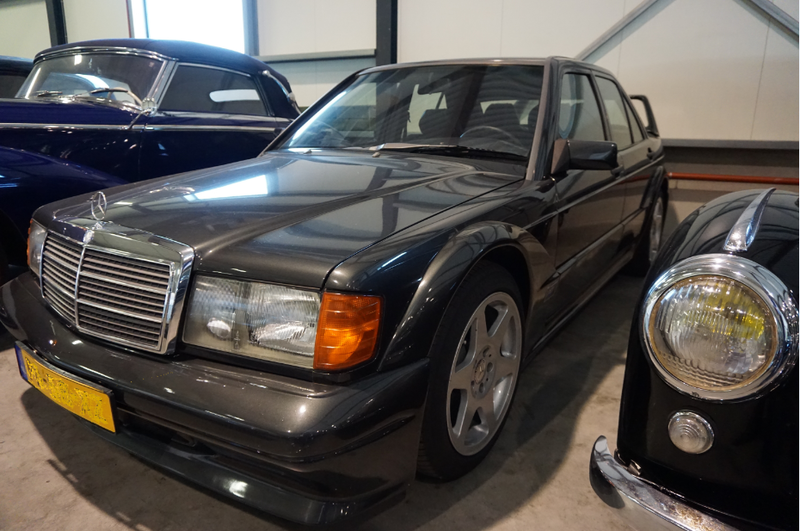 A year later, also at the Geneva Motor Show, a further development was shown, the 190 E 2.5-16 Evolution II. 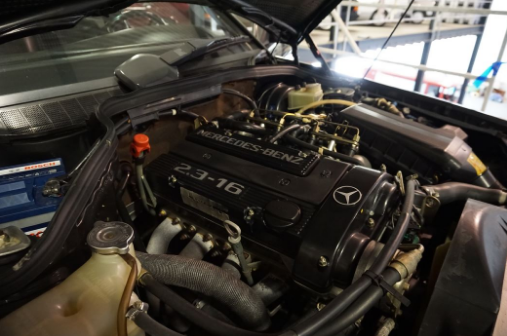 This engine had 235 hp and correspondingly improved performance. Suspension and brakes were largely unchanged, but 17-inch wheels were now used. The body was modified again to reduce wind resistance and increase down-force on the front and rear axle. 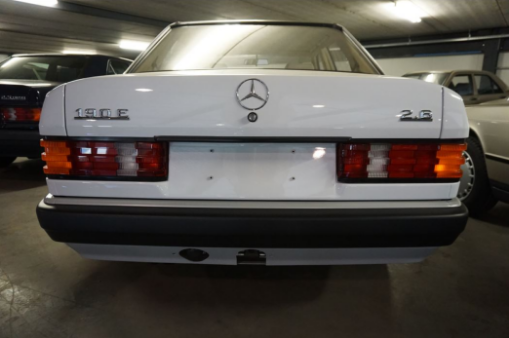 The front and rear bumpers with integrated spoilers were newly designed, as were the fender extensions integrated into the body line and the distinct rear wing. Again, 502 units of the “Evo II” were produced within few months, painted in “blue-black metallic” like the predecessor. From February 1989, all Diesel cars were provided with improved engines as a part of the “Diesel ’89” initiative. Improved combustion led to 40 % less particle emission and thus fulfilled the strict American regulations even without a particulate filter working nearly smoke-free. This progress was made possible by a newly constructed precombustion chamber with oblique fuel injection, which ensured an efficient combustion process. 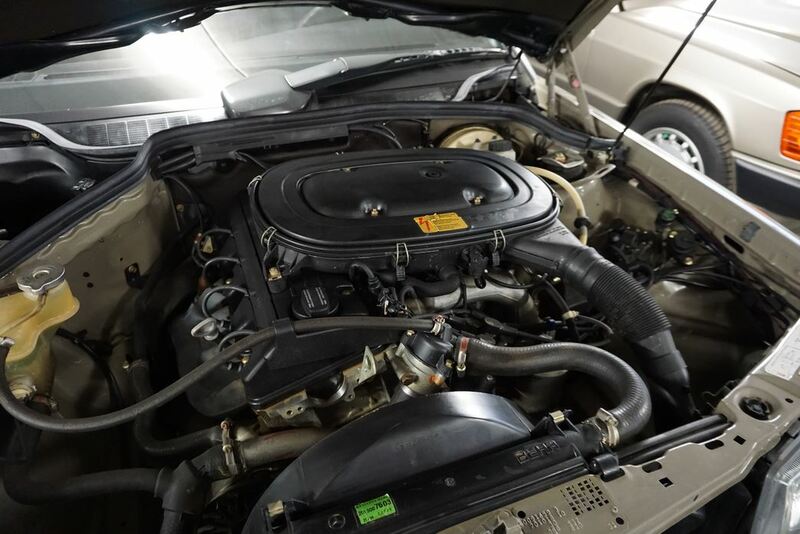 Additionally, the injection pump of all naturally aspirated diesel engines had been provided with an altitude compensator to keep emissions low even when driving at high altitudes. A pleasant side-effect of this new diesel technology was the boost in power of 3 hp for the 190 D and 4 hp for the 190 D 2.5. 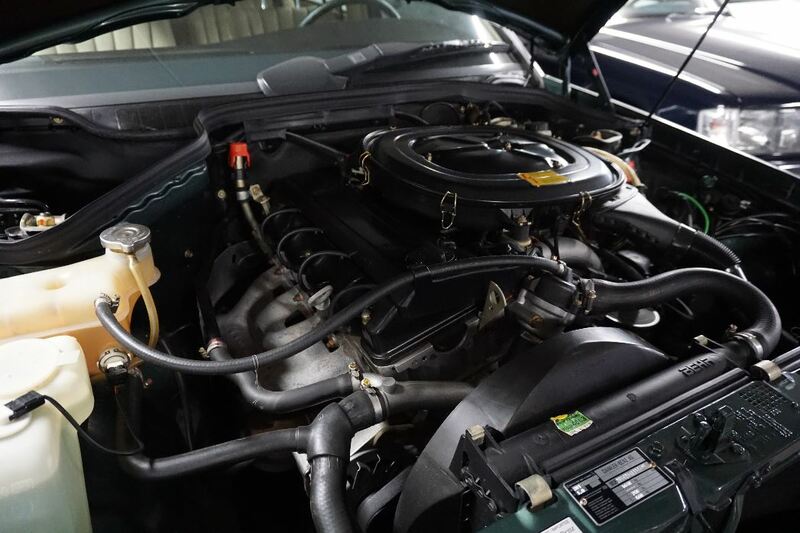 Turbocharged diesel models had been equipped with a comparable technology, adapted to the requirements of engines with forced induction. 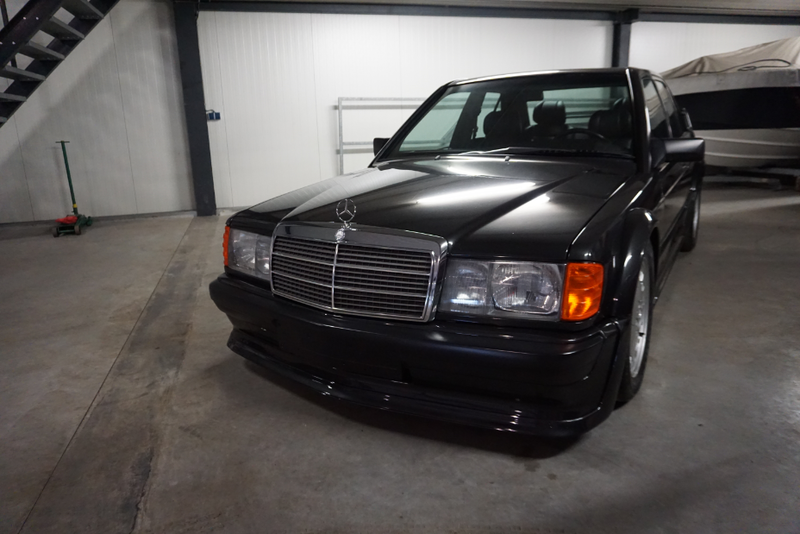 The 190 D 2.5 Turbo offered 126 hp from then on. An elaborate emission control system reduced the emissions furthers through a combination of a oxidation catalyst developed specifically for diesel engines with a thoroughly adjusted exhaust gas recycling. 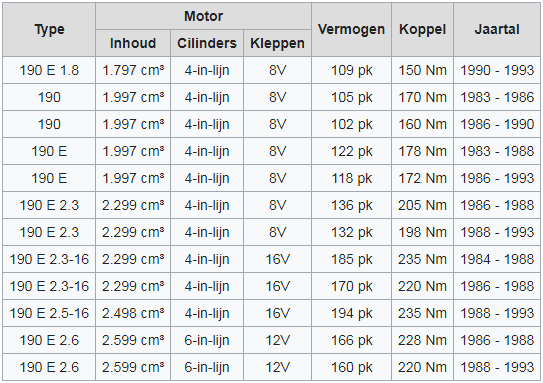 This highly efficient system was available from October 1990 for naturally aspirated diesel cars, half a year later also for turbocharged models as an optional feature. 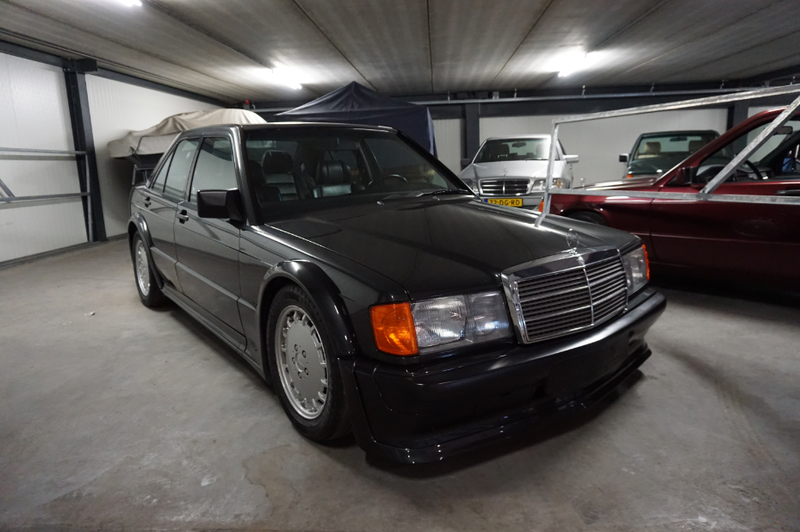 In June 1989, the “Sportline” package was introduced as an option for all models except the 190 E 2.5-16. This package included suspension lowered by 21 mm, stiffer springs and shock absorbers, 7 x 15-inch alloy wheels with wide tires (205/55 R 15) and the seats from the 16-valve model. 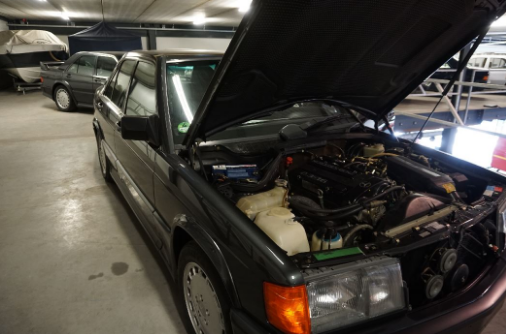 In March 1990, the 190 E 1.8 with a newly developed 1.8-l injection engine replaced the basic 190 after seven years. 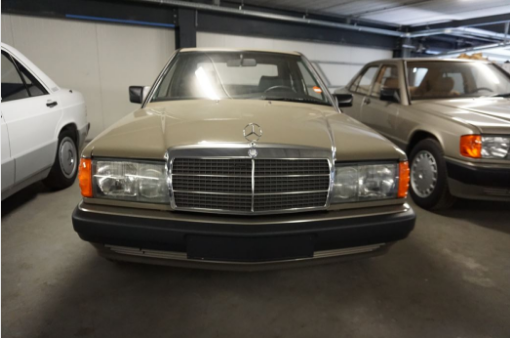 As the 200 and 200 T were also discontinued at the same time, this meant the end of an epoch for Mercedes-Benz: no cars with carburetors were on sale on the home market anymore. The new 1.8-liter engine was a short-stroke version of the old 2-liter developing 109 hp with a catalyst. The mechanically and electronically controlled injection system Bosch KE-Jetronic was kept. In January 1991, all compact class models were improved again. 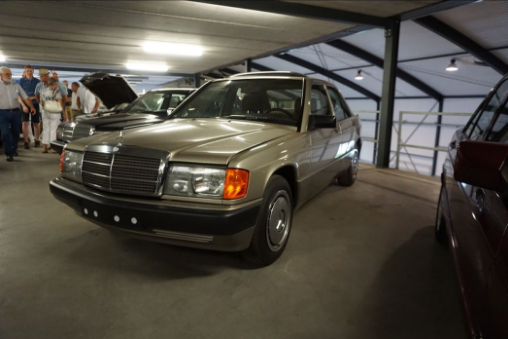 All models except the 190 D and 190 E 1.8 were fitted with ABS as standard equipment as well as with a center console below the dashboard. 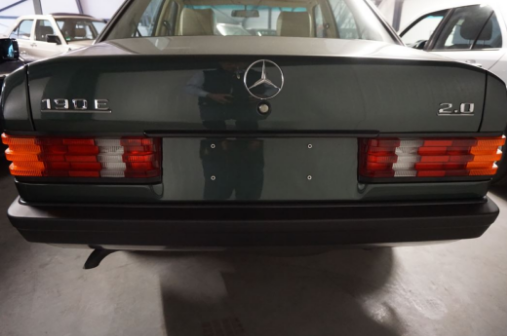 A distinctive feature of the ’9 1 models were the rear view mirror casings painted in the car color. 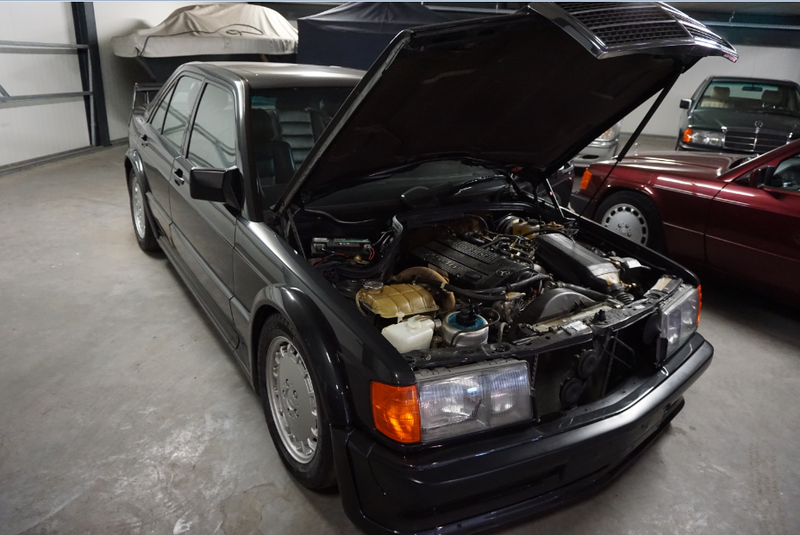 The 190 E, now called the 190 E 2.0, had 3 hp more and the 190 E 2.3 had 4 hp more due to an improved, exhaust system with less resistance. Both models now had a dual tailpipe like the six-cylinder type. 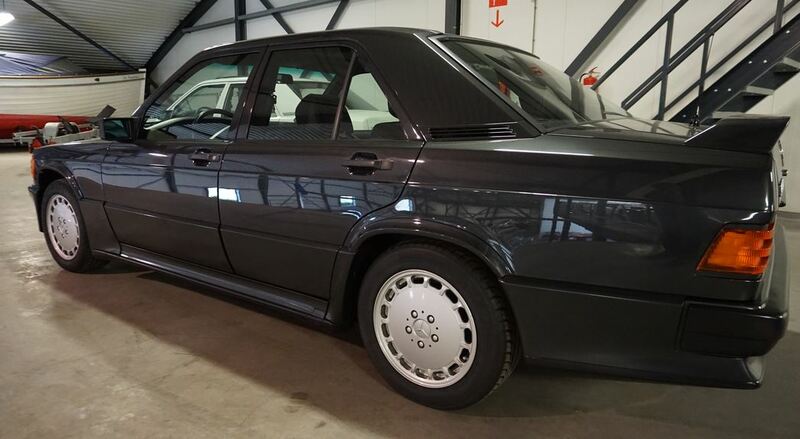 In March 1992, when the 201 series production came to an end, three special edition models on the basis of the types 190 E 1.8, 190 E 2.3 and 190 D 2.5 were presented, which were supposed to enrich the model program with three modern and youthful options and which met the established standard regarding technology and body. The “Avantgarde” models, designed by a team of international female Mercedes-Benz designers, surprised through exceptional design features, fresh and modern colors as well as fine materials as standard equipment. 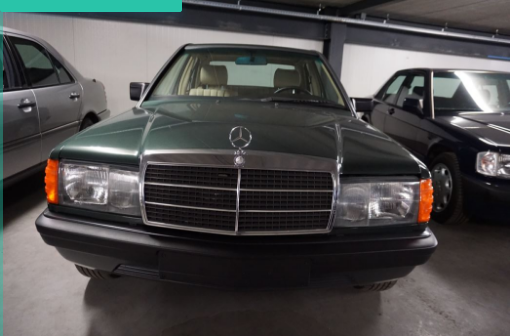 The 190 E 1.8 AVANTGARDE ROSSO came, as the name is suggesting, in a vigorous red pearl-color paint, the 190 E 2.3 AVANTGARDE AZZURRO in cool metallic blue, and the 190 D 2.5 AVANTGARDE VERDE in dark green shimmering pearl-color paint. All three “Avantgarde” models were produced in a onetime limited edition of altogether 4,600 units. More than ten years after the launch production of the first generation compact-class came to an end at the Sindelfingen plant in February 1993. The 190 was still manufactured in Bremen until August, mainly for export. A total of 1,879,629 cars produced shows clearly how successful this new Mercedes-Benz model line was. 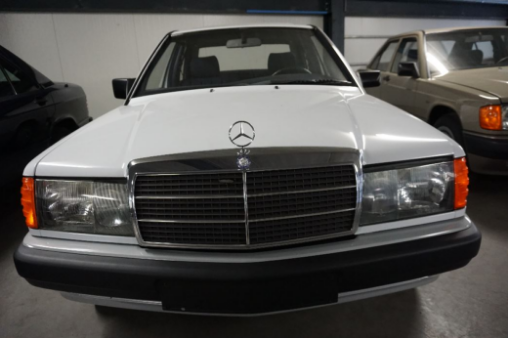 Its successor was the 202 series C-Class, which went into serial production in February/May 1993. The global copyright remains the property of Daimler AG.